A United Methodist Women sponsored service, the clothes closet provides free children’s clothing (infants through size 14) for residents of Englewood. The Clothes Closet resides on the church campus and is open on Mondays and Wednesdays from 11:00 am -1:00 pm. 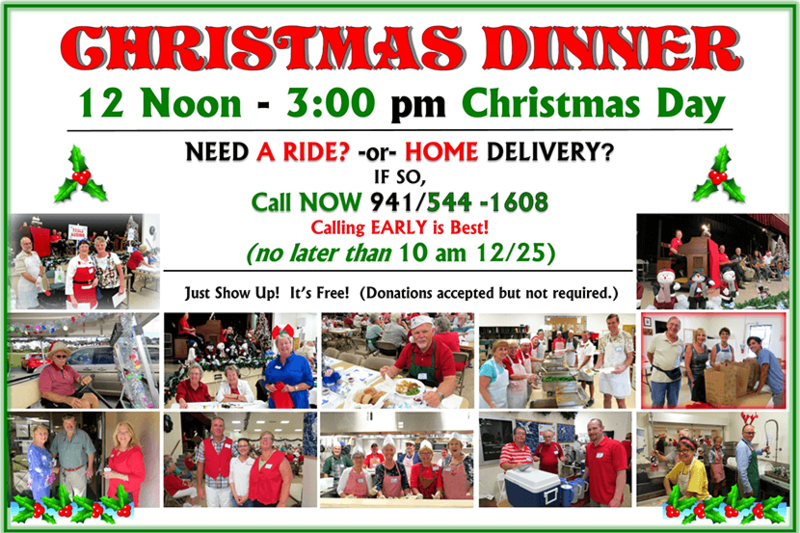 EVERYONE is welcome to the 27th Annual Christmas Dinner! Comfort Connection is an adult day/respite program which offers social and recreational services for adults who require constant supervision. The service also provides the care-giver relief from the constant care of the care-giving. "Journey from Mourning to Joy"
A Healing and communion service is offered in the chapel the first and third Tuesday of every month at 11:30 am. Everyone is welcome to join us. Grab a Ride to our 11:00 Church Service with Us! How Do I Know if I am Eligible to Ride the Sunday Van? 1. Do you live in the greater Englewood Area? 2. Are you able to climb into a standard mini-van? If you answered yes to both of these questions, you are eligible.